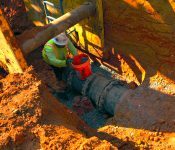 In 2014, DeKalb County, Georgia, was issued a Consent Decree from the Environmental Protection Agency (EPA) due to the high level of sanitary sewer overflows that had occurred in the previous 10 years. 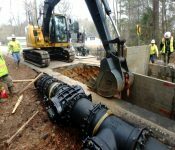 The system included the existing Honey Creek Pump Station and a 16-inch force main that ran 17,000 feet along Rockland Road to an existing discharge manhole. 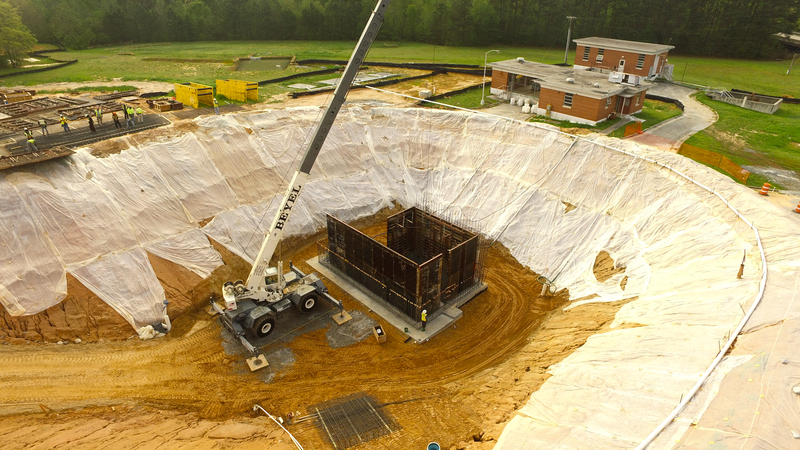 From there, the flow was carried via a 24-inch gravity sewer to the Pole Bridge WWTP. 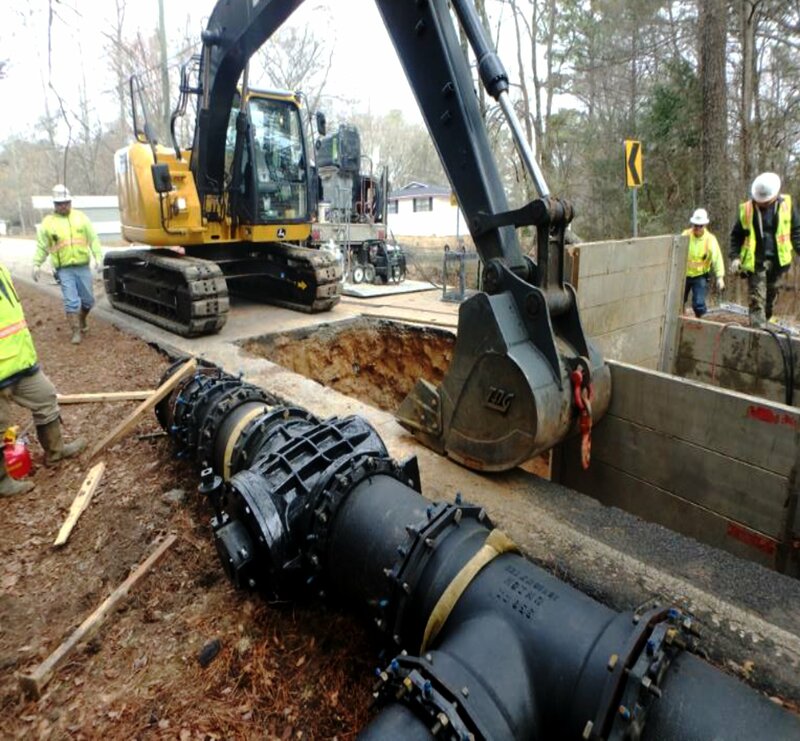 The Honey Creek Pump Station, Force Main, and Gravity Sewer Improvements Project was identified as a project under the $1.3 billion Capital Improvements Program (CIP) with a Consent Decree date of December 31, 2017. 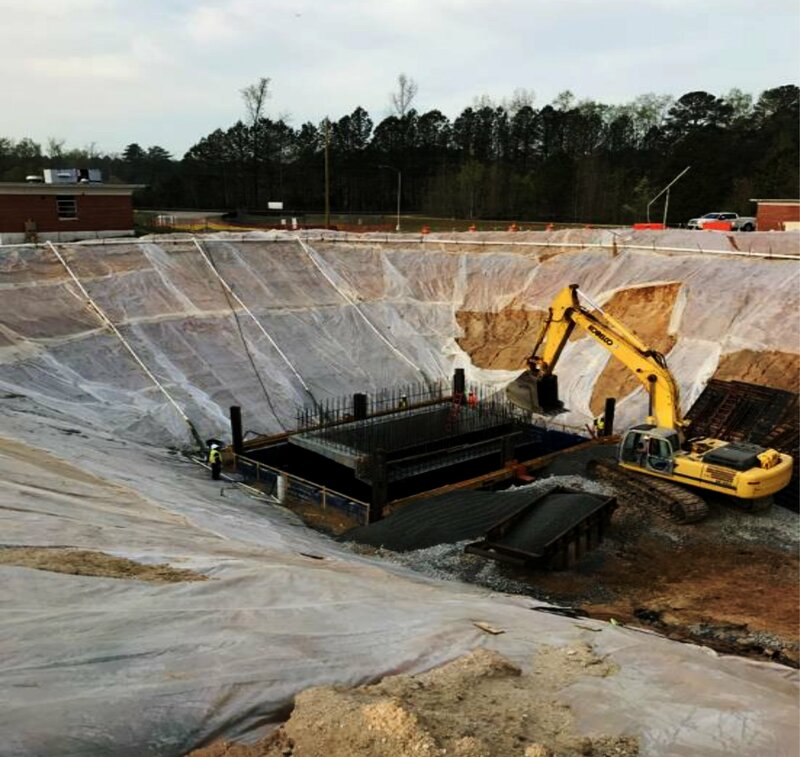 Garney and their design partner were contracted to design and build a new pump station force main and gravity sewer for DeKalb County using the progressive design-build delivery method. Upon receiving the contract on October 17, 2016, the design-build team was required to have the design complete by year-end 2016. This short timeline challenged the design-build team to work diligently and creatively and communicate effectively to meet the aggressive design schedule by 12/31/2016 and successfully deliver the finished product by 12/31/2017. Although the client had not used progressive design-build delivery in the past, it was decided that due to the strict schedule constraints required to complete this project and meet the Consent Decree, they would benefit from using a construction method that would streamline the process. The progressive design-build delivery method allowed the team to streamline plan reviews, fast-track permitting, and accelerate construction processes which allowed for successful completion within a strict Consent Decree deadline. The Honey Creek Pump Station Project presented unique challenges. The first task of the team was to review multiple route options for the new force main alignment and determine which route would best meet the County’s expectations and project objectives. Option A included installing the force main following the existing alignment for approximately 6,000 LF and transitioning to a new gravity alignment; however, the gravity portion of the line would have to run along, and through, a sensitive state nature preserve park. 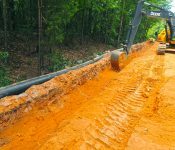 This would require significant blasting, permitting, and extensive easement acquisition, which could potentially result in extensive traffic delays, costs, and scheduling issues which would not allow the Consent Decree deadline to be met. 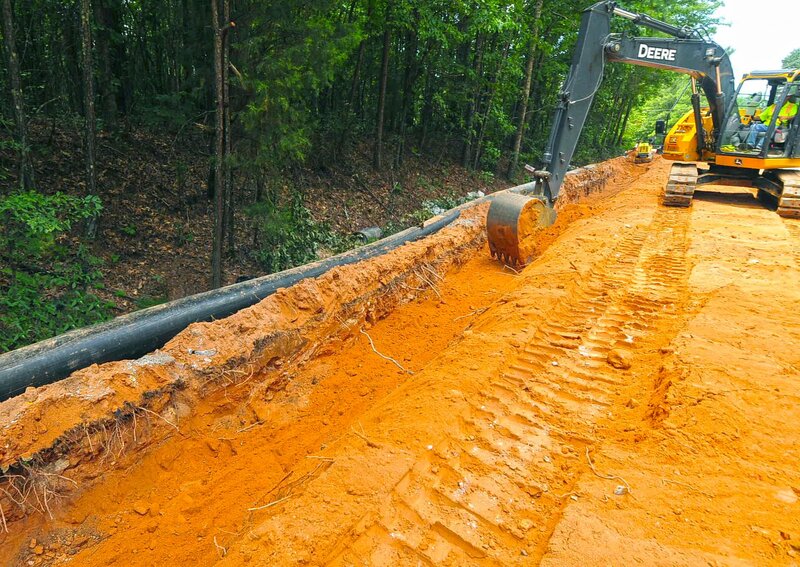 Option B consisted of a Dig and Relay Method and involved bypassing the existing line in three sections, each approximately 6,500 LF long, and then removing and replacing the existing force main with the new force main. Option B was selected as the most feasible option for the force main routing. 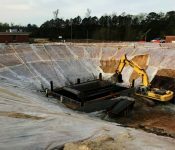 The force main portion of the project consisted of over 17,000 LF of 18-inch ductile iron pipe (DIP). Challenges along the selected route included rock, creek crossings, narrow/ highly traveled residential roads, and traffic management. One of the greater challenges the team overcame was the first creek crossing. The team encountered bedrock at the bottom of the existing trench with little pipe cover from the stream bed above. The existing pipe was cored underneath a narrow bridge through the bedrock and had a concrete cap placed over it. The initial design called for a 30-inch casing and the carrier pipe to be pushed through it. 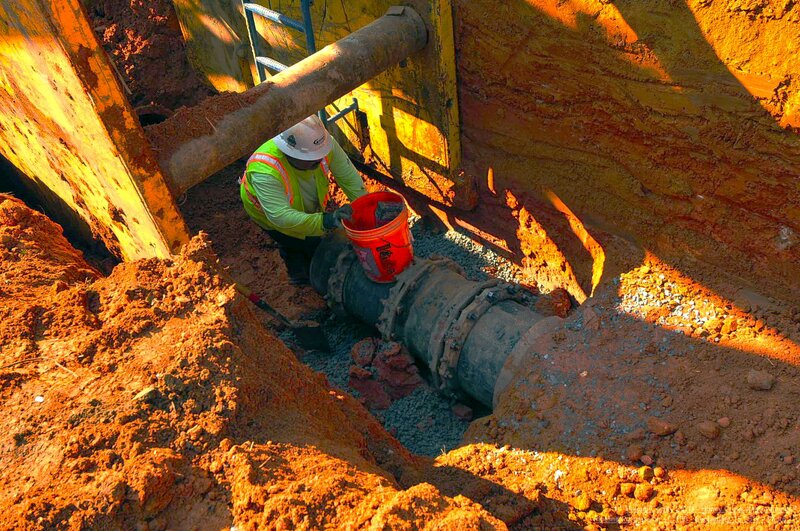 The team was able to work through this challenge by collaboratively engaging all involved parties and provided a solution that allowed the new pipe to be pushed through the existing core as originally planned. This represented a significant win for the team as well as proved to be a true testament to the collaborative methods of the design-build model, resulting in minimized impacts to the existing environmental conditions. 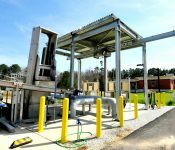 In addition to designing the pump station and force main, the team installed what has come to be known as the Interim Peak Storage System (IPS). 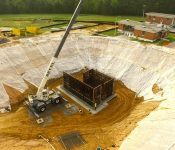 This system was put in place to allow sewage to be held in an existing 700,000-gallon holding tank. 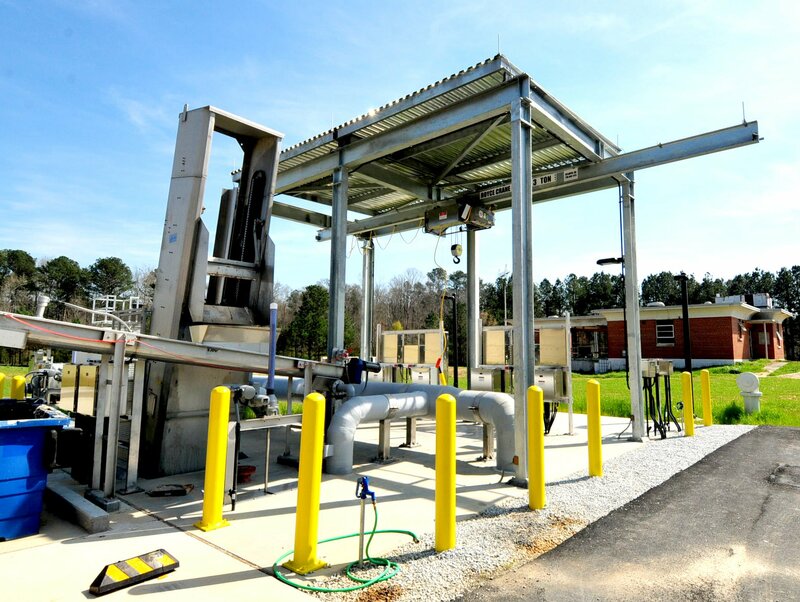 This system could be used during times when the existing pump station was offline for maintenance issues, when tie-ins for bypass pumping were being conducted, and would also allow for the new pump station to be taken offline for a period of time for future maintenance work. The IPS System was required to be installed by December 31, 2016, and consisted of a 12-foot- diameter, 32-foot-deep wet well that houses two 50-HP, 2.4-MGD submersible pumps.